Game of Thrones fans remain on the edge of their seats waiting for the final winter to come. An Instagram post by Maisie Williams (Arya Stark on GOT) gave us some bittersweet news. It alerts us that Game of Thrones has wrapped filming. As we know, Maisie Williams’ character did spend a considerable amount of time as a girl without a name. True to her character, she paid tribute to Arya Stark on Instagram in cryptic fashion. Stay current on the latest soap spoilers by following Soap Dirt on Twitter and liking us on Facebook! 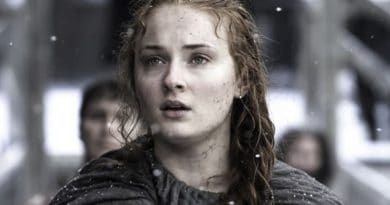 Will Arya Stark be the last woman standing in Game of Thrones? Maisie Williams’ farewell Instagram post certainly has fans wondering. The 2019 release of Season 8 seems far away. So, it’s no surprise that any bit of information fans can get their hands on is enough to fire up the theory and speculation engine. The image itself shows the actor wearing white sneakers covered in blood — though, whose blood is anyone’s guess. 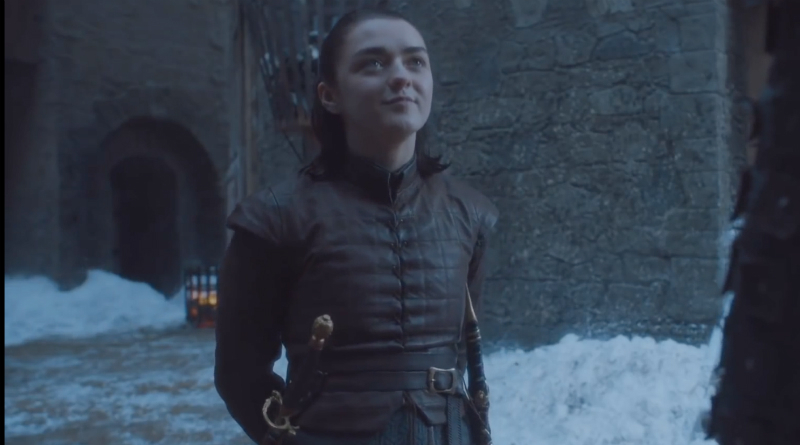 Thus far, Arya has made good on her promise to eliminate everyone on her list. It’s fair to assume that she crossed off a few more names. 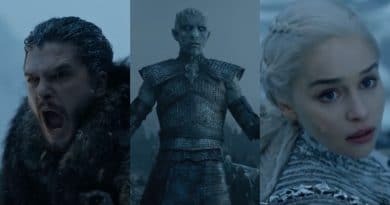 It’s likely that there will be spoilers and leaks to confirm this as the premiere of the new season draws closer. While the image itself leaves something to be desired, Williams’ choice of words is curious as she refers to Arya as the last woman standing. While the caption is genuine and good-natured, one has to wonder. Is her last woman standing hashtag just a humorous quip, or does it hint at something more regarding the future of her character? Before Maisie Williams and her bloody shoes, the Mother of Dragons herself offered her genuine thanks. She said goodbye to the seven kingdoms. Emilia Clarke posted a heartfelt message on Instagram. Her message said goodbye to the place that has been her home for nearly a decade. We don’t yet know what fate awaits Dani and her dragons. We do know for sure that Clarke has left her character to it, whatever it may be. It’s clear the cast and crew are certainly looking forward to some much-needed rest and relaxation. The shooting schedule that comes with Game of Thrones is grueling. One has to wonder what life after Game of Thrones will look like. All hope is not lost, however, as there has been talk of a Game of Thrones spin-off in the works. A report from Digital Spy confirms that the series will be a prequel, though there is no definitive answer regarding which element the spin-off will cover at this time. 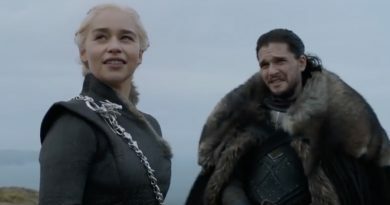 The timeline suggests the earliest we can expect this prequel is at least a year after the final season of GOT airs. That could be anywhere between 2020 and 2021. Hopefully, there will be more information available as time goes on — a few spoilers couldn’t hurt, either. All we can do now is wait with bated breath, as winter can’t come soon enough. Come back to Soap Dirt for the latest Game of Thrones spoilers and news.